24 hours a day, 7 days a week Security people protect our homes, our business and even our children. They do so for little pay, they work long hours often times with people who are just a warm body to fill a spot. Often left in places by themselves with only a radio or a cell phone for communication these men and woman do not have the respect that Law Enforcement officers do and are often verbally and physically abused while trying to perform their duties for sometimes as little as minimum wage. 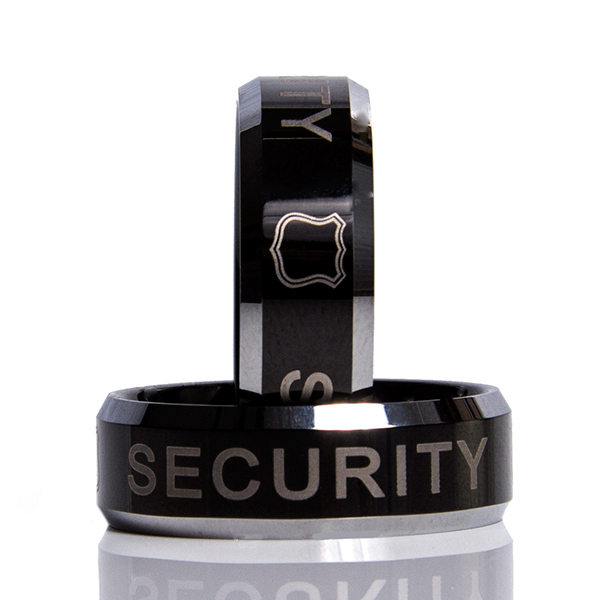 Our 911rings are recognition for a job not only well done but done with little to no respect or recognition.